Washing of sheepskin is dependent on the tanning processed used to preserve the hide. Not all sheepskins are washable. Those that are washable have been specially selected and then chrome tanned. If a sheepskin has not been chrome tanned it will probably be damaged as a result of washing. The story is not just this simple. If a sheepskin is not washable, it can probably be effectively dry cleaned. If the sheepskin is washable, it can be safely washed in warm water with a sheepskin detergent to disinfect and condition the wool and leather backing. The best detergent is the one developed in Australia by the tanning industry..Woolskin. If Woolskin is not available, use a human shampoo that contains a conditioner for a few washes until Woolskin becomes available. Use of general household detergents and Woolite should not be used because they will permanently damage the leather. 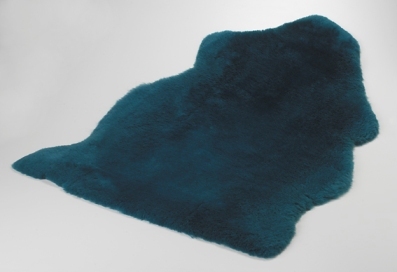 ONLY HiTemp UR Medical Sheepskins can be washed in hot water for disinfection…water temperature should not exceed 80oC. 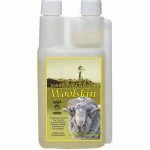 Woolskin should be used for further disinfection by Tea Tree Oil and conditioning. Wash your sheepskin often and, if washed and dried properly, will last many many years. Shear Comfort warrants their sheepskin products for up to 50 washes in Woolskin. Next Post: Wool-It is all about the WOOL FIBRE!